The first thing that sticks out, not in a good way, are the modern styled mirrors. Second, 427 Wheels, Sidepipes more reminiscent of a 427 than a 289. Third, huge front and rear fender flares. Then, opposite of the race look that it appears to be going for, it his a 289 grille and bumperettes.... What is the story with this car? Anyone? I don’t have access to my registry but it looks like a very modified original car to me. The wheels look like they may be GT40 wheels made by Halibrand. Last edited by Dan Case; 02-04-2019 at 10:39 AM.. They do look like Halibrands! The mirror look like what was on the Gumball Rally Cobras. Quite the set of leg burners there! The mirrors may actually provide a view out back. I have a very authentic looking mirror on my car in the correct place. It is about 97% worthless to see anything you really need to see. This is the car that fell off the trailer when being delivered to the dealer. It was repaired and given to Shelby's Secretary who happened to pen the song 'Hey little Cobra". I've been told the current are in their 80's and are asking $1 million. 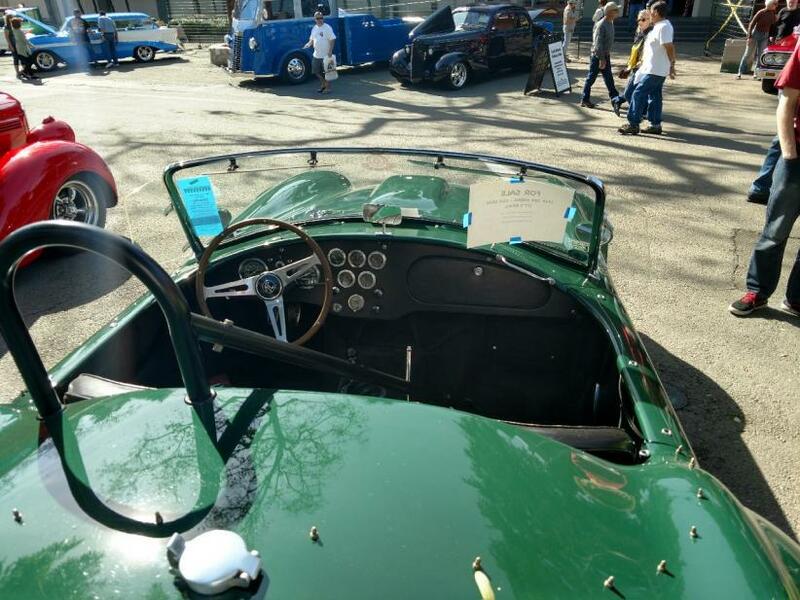 This picture was from last week at the roadster show in Pomona. Pic in registry shows all those 427 things on it. Looong story in 1965 about it falling out of a van when the van went over some rough RR tracks. Supposedly was "severly damaged"
Slight correction, Carol Connors wrote the song “Hey Little Cobra”. She met Shelby when she asked him if he could repair her boyfriends Bristol. She wrote the song at his request (sort of) and he gave her the car. Shelby’s secretary was Terry Bagley. I don’t know if she ever owned a Cobra or not. It’s probably in the registry if she did. Don’t know if Shelby ever fixed the Bristol! Personally I think Ms. Bagley was better looking than Ms. Conners but that really doesn’t have anything to do with anything! Last edited by LMH; 02-04-2019 at 05:14 PM..
Good catch Larry, I was testing you. I have a few photos of the exterior if anyone would like me to post them. 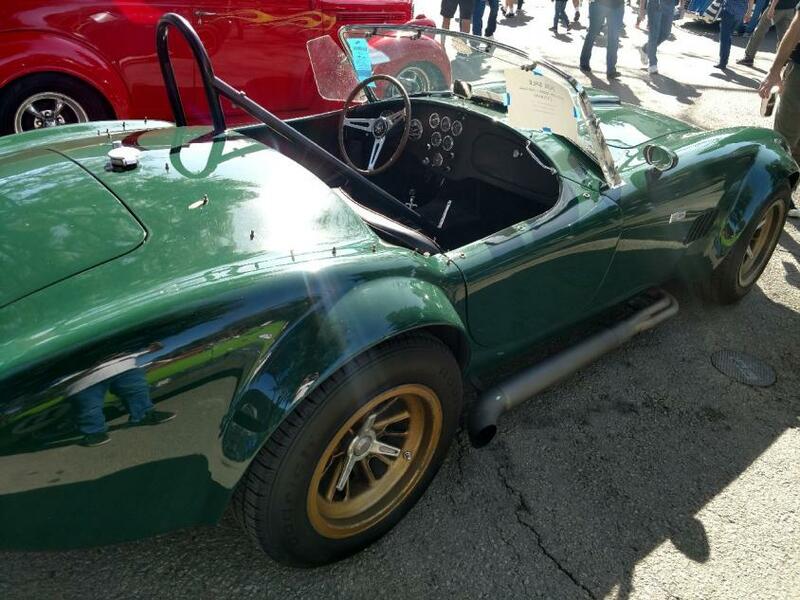 It is an original late 289 Cobra that has been modified, GT40 wheels, 1980s Weber carbs and all the external modifications to give it the appearance of a 437 S/C which was typical during the ‘70s and ‘80s. 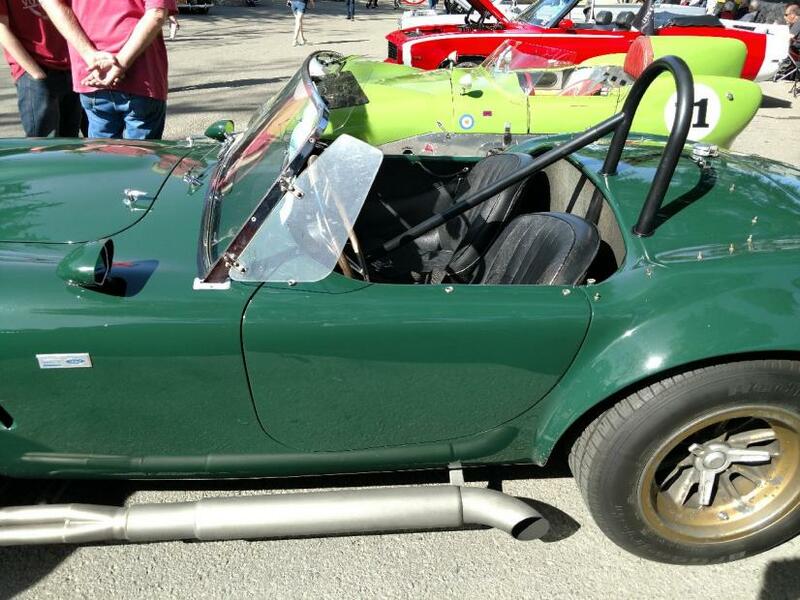 This is the second Cobra Shelby gave to Carol Conners “Hey Little Cobra” song writer, the first a 260 Cobra that she destroyed in a crash that nearly killed her. This is supposed to be a matching numbers car which is a plus. 1985 CCX and Alfa02 like this. 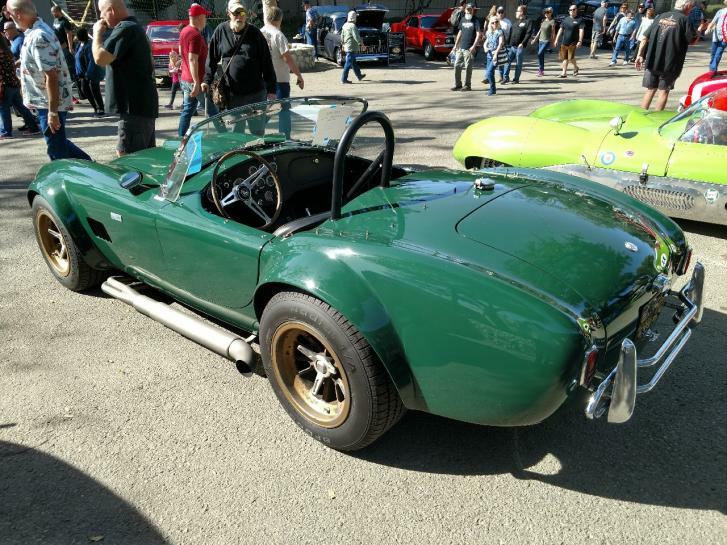 We have a gentleman here in Washington (State) that owns the Cobra, that was sent as a replacement to the one that fell off the carrier. The story go's : His father ordered one to be sent to a Shelby dealer in Mich. or Minn. (Can't remember which state) a few miles from the dealership, again over some RR tracks, it came off the carrier, after looking it over, the dealer said that one could be sent back and fixed, or wait for another one, which they did. The story was told to me by the owners son, at the shop that cares for his car & mine. The son still owns that car. Just so there is no confusion they own the one that was sent as a replacement. Cheers. Per the Registry, they are 9.5" GT40 Halibrand wheels. You guys are awesome. I knew it wouldn't take long. The current modifications were completed in the 70's by McCluskey's shop according to a follow up on Instagram. Last edited by Dar73; 02-05-2019 at 09:03 AM.. 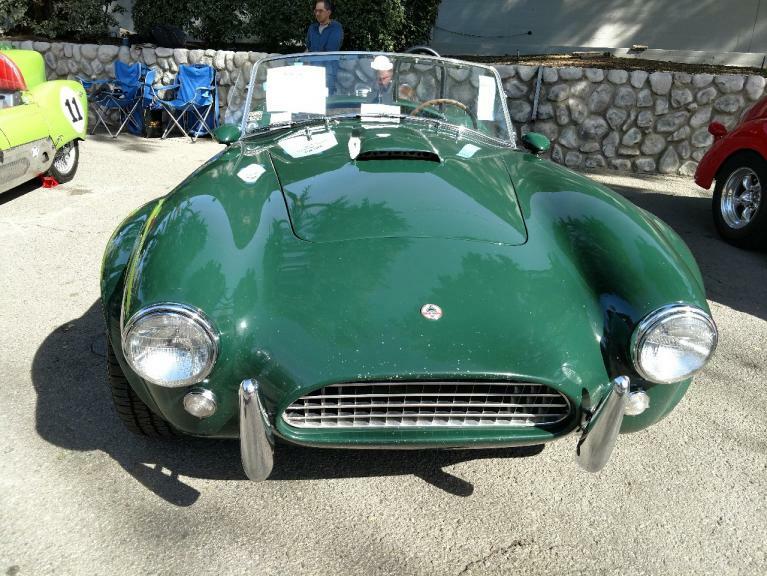 This is my friend Jim's car, very nice car with lots of CA history. I'd rather park the cash in my bank account at this point. I don't particularly like green, but it works on this car. Nice shade. I know that car well, I did quite a bit of work on it around 1980 at my shop in Santa Barbara, Jennings Auto Marine. Those are mag GT40 wheels. The owner at the time was using the car at track days. The engine was tired, I rebuilt and blueprinted the engine (original 5 bolt) with forged pistons, correct clearances and the good stuff of the day, roller rockers etc. The heads were mildly ported and I had a special cam ground for the Weber carbs. I also did some suspension work on the car to make the lower control arms adjustable so I could get the camber needed for the Goodyear Blue Streaks. It is a modified car, but the modifications were done extremely well and is a representation of what would have been done to a car raced in A or B production in the mid 60s. I do not think it has been driven much in the last 20 years. It is a beautiful car. LMH and Alfa02 like this.